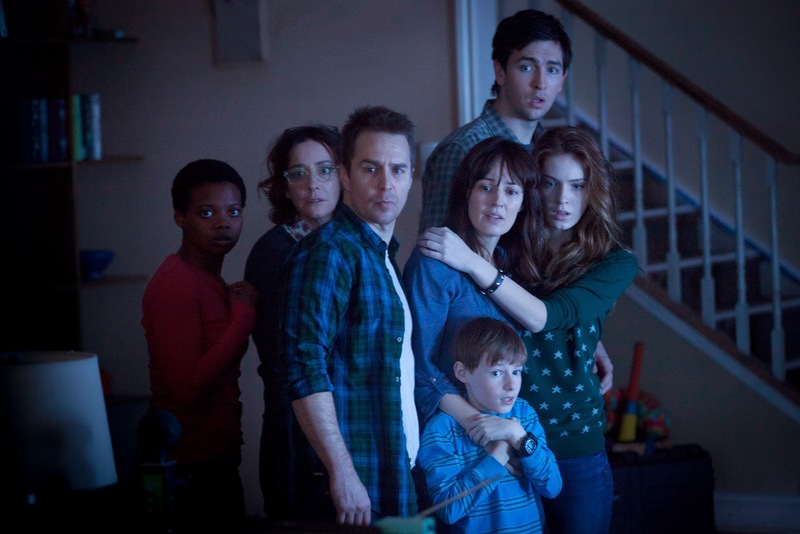 The first two photos and first trailer of “Poltergeist” (3D) have just been revealed by 20th Century Fox. Legendary filmmaker Sam Raimi (“Spiderman,” “Evil Dead”, “The Grudge”) and director Gil Kenan (“Monster House”) contemporize the classic tale about a family whose suburban home is haunted by evil forces. When the terrifying apparitions escalate their attacks and hold the youngest daughter captive, the family must come together to rescue her before she disappears forever. Starring Sam Rockwell, Rosemarie DeWitt, Jared Harris and Jane Adams. "Whenever someone approaches material that's so beloved, there's a reflexive reaction to be worried," says Kenan in recent interviews. "It's a responsibility we take very seriously. We're working to make a Poltergeist film that lives up to the original's legacy." Mirroring the key aspects of the original has been a major consideration of Kenan and producer Sam Raimi. The reboot features a screenplay by Pulitzer Prize-winning dramatist David Lindsay-Abaire and is led onscreen by Sam Rockwell and Rosemarie DeWitt as the parents. The Bowen family finds itself in a paranormal world of hurt when they move into a suburban fixer-upper, which is in worse need of spiritual cleansing. Kenan says he found his key central girl, Madison, in 8-year-old Kennedi Clements, whom he calls "a force of nature." Like the original, television is a conduit from the spirit world. But in 2015, the screens are bigger, packing more menace. And there are screens throughout the house. "Unlike the traditional horror film, I wanted to put together a cast to give weight and reality to these characters. It's the way to anchor the family," says Kenan. "It's such an emotional story at the core. Parents fighting to get their child back from the beyond." "The original film commented on how we've let television get out of control, babysitting our kids," says Raimi. "It's only gotten worse with the handheld portable devices. Screens are everywhere." Once the spiritual invasion overwhelms, the Bowens seek help from a respected supernatural researcher and clairvoyant (Jared Harris). But they really come together and rely on each other. "The thing that keeps them a family is what they have to draw on, to stay sane, and also to win Madison back," says Kenan. "The film is super-scary. And it's scary on its own terms. I am excited to finally be able to share that with the world."